The Watch With The 27 Word Name: "Unlocked Tri Band Wrist Watch..."
Since no one's paying me to come up with a catchy name for this 27-word watch, I'm not going to spend a lot of time trying to come up with one. 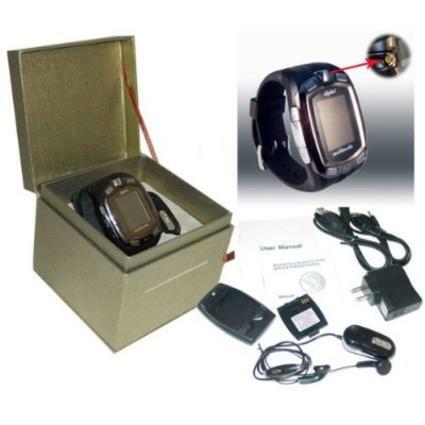 Ah, what's in a name like say, "The CCV Watch," when you can can call your product the "Unlocked Tri Band Wrist Watch GSM Cellphone with 1.3 Mpx Camera --Video-- MP3 MP4 player--Sound recorder--SMS-Text Messaging-- Speakerphone with Bluetooth Headset and Touch Screen." Oh yeah, I'll remember that name! The Tri Band Wrist Watch (I'm stopping right there.) appears to have so many functions that it merely resembles a watch; telling time is the least of its challenges, and being a watch is only a convenience for its other purposes. The Tri Band ( I'm cropping the name as I write.) 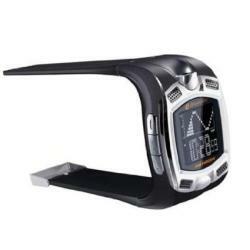 is really a super-duper cell phone with a watch face on a wrist watch band and a 1.3" full color touch screen. Like many of the new cell phones, the Tri Band has a still camera and video, including a sound recorder. Want to listen to music or audio books? Load your MP3 and MP4 recordings right up on the Tri Band. It supports SMS, MMS, WAP, MP3, and MP4. Really welcome features on the Tri Band are terrific compatibility with networks and service providers, as well as support for numerous technologies, Bluetooth being just one. Agptek, Tri Band's manufacturer, claims the cell phone is GSM compatible in the US and uses a SIM card you can take right from your Cingular, T-Mobile, AT&T, and other company phones -- however, it strongly suggests that you check with your provider before you buy the Tri Band, as there are no refunds for service incompatibility. If the SIM card works, the Tri Band automatically recognizes your phone book and other settings, making it really easy to set up and use. 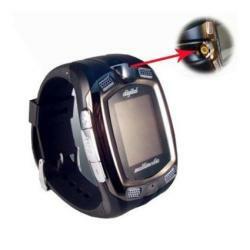 The "Unlocked Tri Band Wrist Watch GSM Cellphone with 1.3 Mpx Camera --Video-- MP3 MP4 player--Sound recorder--SMS-Text Messaging-- Speakerphone with Bluetooth Headset and Touch Screen" (I cut and pasted!) is available at Amazon.com. EDITOR'S UPDATE: This watch is no longer available. Other cell phone camera watches with many of the same features are available here. Great Invention Idea? Easy & Fun Way to Put Your Kids to Work! Russia’s Navy in Venezuela: What’s Really Going On?